GELID bubble wrap sheet is made of two / three layers of LDPE sheets. The air is entrapped between two layers to give excellent cushioning. The air bubble film is available in roll form in varying lengths, width and gauge .It is shock resistant and moisture proof material. Air Bubble Roll provide cushioning and protection against breakage and damage in transit. Air Bubble Sheets are resilience, flexibility and resistance to shock and abstraction including excellent mechanical properties. Air Bubble Roll offers high moisture resistance, convenient to handle. This 10 mm air bubble roll is available in standard thickness of 180 to 600 gauge, width 0.5 meter, 1 meter & 1.5 metre and length of 100 meter and customization available in terms of width / length (MOQ applied). GELID Air Bubble Big is made of two layers of LDPE sheets. The air is entrapped between two layers to give excellent cushioning.Air Bubble Bags provide cushioning and protection against breakage and damage in transit. Air Bubble Envelope is resilience, flexibility and resistance to shock and abstraction including excellent mechanical properties.This 30 mm air bubble roll is available in standard thickness of 550 gauge, width 1 meter and length of 50 meter and customization available in terms of width (MOQ applied). Air Bubble customized Bags are made with superior quality air bubble sheets extensively used for the packaging of all breakable equipments like computers, crockery, glass based products, household materials and other breakable or fragile products. These products are shock, vibration and abrasion proof. Our product is available in different standard sizes, designs and other specifications. Bubble Bag is light weight, water resistant, reusable non-scratching and is used for packaging fragile items. 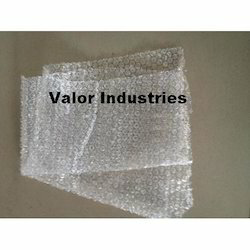 Our organization plays an important role in offering Bubble Wrap Sheet to our clients. These sheets are customized available in different thickness of 10mm, 20mm and 30mm.We are instrumental in offering a wide range of Air Bubble Sheet to our precious clients. In synchronization with the set industry standards, our provided sheet is precisely manufactured at vendor's end using high grade basic material and latest technology. Owing to its tear resistance and water resistance features, this sheet is widely appreciated by our renowned clients. Moreover, to ensure the best quality, the offered sheet tested by our quality experts on different parameters. These air bubble sheets are high strength, tear proof, soft surface, protect from damage and water proof. Air Bubble customized Bags are made with superior quality air bubble sheets extensively used for the packaging of all breakable equipments like computers, crockery, glass based products, household materials and other breakable or fragile products. These products are shock, vibration and abrasion proof. Our product is available in different standard sizes, designs and other specifications. Bubble Bag is light weight, water resistant, reusable non-scratching and is used for packaging fragile items. It can also be used to cushion medium to heavy weight products in various industries. Reduces Shipping & transportation cost. We commence our business as the leading organization of the best quality Plastic Bubble Wrap Sheet. GELID Air Bubble Wrap Sheet is made of two layers of LDPE sheets. The air is entrapped between two layers to give excellent cushioning. The air bubble film is available in roll form in varying lengths, width and gauge .It is shock resistant and moisture proof material. 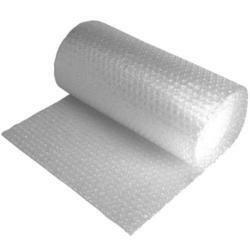 Air Bubble Wrap provide cushioning and protection against breakage and damage in transit. Air Bubble Sheet Roll is resilience, flexibility and resistance to shock and abstraction including excellent mechanical properties. Air Bubble Roll offers high moisture resistance, convenient to handle. This 10 mm air bubble roll is available in standard thickness of 180 to 600 gauge, width 0.5 meter, 1 meter & 1.5 metre and length of 100 meter and customization available in terms of width / length (MOQ applied). Looking for Bubble Wrap Sheet ?